← Better Nutrition: Can It Maintain Your Youth? We all know how important it is to exercise on a regular basis but even though we all know it, few of us actually do it. 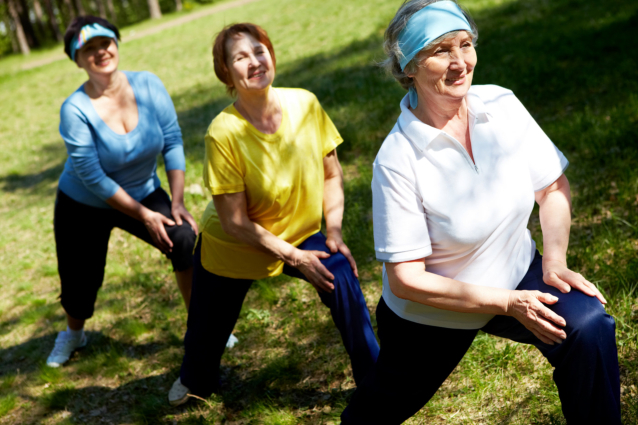 Many senior citizens have trouble with physical activity due to health conditions like arthritis, lack of energy, or even from being overweight but no matter what condition you are in, it is possible to do some physical activity. Exercise does not mean having to run a mile every day, but even some simple tasks can improve your life in many ways. Caring Nurses Services is a home care Agency in Bel Air MD that can even provide you with the help you need, to exercise effectively. More Energy: One of the more common issues that senior citizens face on a daily basis is lack of energy. This can be because of their sedentary lifestyle, health conditions, or from being overweight. However, you can slowly improve the amount of energy you have by exercising. Doing activities such as walking for a few minutes every day can help you a lot. Prevention: There is no excuse for living a sedentary lifestyle, even if you are elderly. This kind of lifestyle can lead to many serious health conditions including blood clots, stroke, and even heart attack. By doing even a minimal amount of physical activity on a daily basis, it can help improve your blood circulation, blood pressure, and it can also prevent many severe conditions. Feel Better: Physical activity releases endorphins, which can help you feel happier. If you feel too lazy or too tired or even too sad to do what you want, forcing yourself to do something active can cause a complete 180-degree turn in your attitude. This can definitely help you feel much happier. Our nursing staffing agency can definitely help you exercise and to help change your life for the better! If you are interested in finding out more about the large array of advantages you can enjoy from regular exercise as a senior citizen, please feel free to call us at 410-638-5588 for more information today. This entry was posted in Health Care and tagged caring nurses, elder care, health care, Healthy Lifestyle, Home care, senior care. Bookmark the permalink.